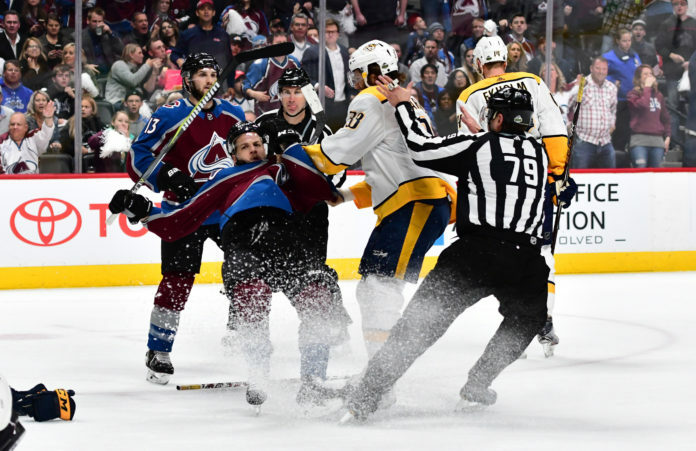 The Colorado Avalanche battled back to make a game of it, but sloppy play in the first two periods cost them in the end on their way to a 3-2 loss to the Nashville Predators. The Avs are now one loss away from being eliminated from the NHL playoffs. What did we learn from Game 4? The power play failed the team again. While they managed to score on a 5-on-3 advantage, they have yet to bury a goal with a 5-on-4 advantage in the series, and tonight it hurt the team. 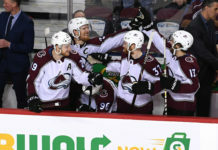 The game-winning goal for the Predators came at the end of an Avs power play, off a turnover by Colin Wilson. The unfortunate thing is that the power play carried the Avalanche through a lot of the year. It’s poor timing for them to struggle with it now. You can dislike P.K. Subban as much as you want, but there’s no denying he is a remarkably effective player. The Predators controlled 67% of the shot attempts with him on the ice at even strength, and he was at 64% against Nathan MacKinnon and his line. He was Public Enemy No. 1 — and did not care in the slightest. Jonathan Bernier was tremendous early in the game to keep the Avalanche in it, but that third goal is one that he may want back. 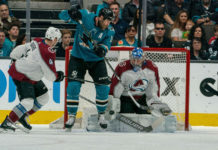 He left the game after the second period with a lower-body injury, and his status is currently up in the air for Game Five, but the best save percentage he has put up this series was .906 in the Avs’ lone win. The Avs are not good enough to get by with below-average goaltending. This was a very chippy game, and there may be a suspension that comes from it. Ryan Hartman took a run at Carl Soderberg in the third period and knocked him out of the game with a headshot while Soderberg was carrying the puck into the zone. Hartman was penalized, but given the contact was directly to the head, it would seem likely the league is going to take a long look at it. Mikko Rantanen finished the game with zero shots on goal, and had only one shot attempt all game long in over 21 minutes of ice time. It’s clear that he’s not on top of his game, and I would not be surprised to hear of an injury once the season is over, possibly to his hand. The puck has not been able to stay on his stick all series long.